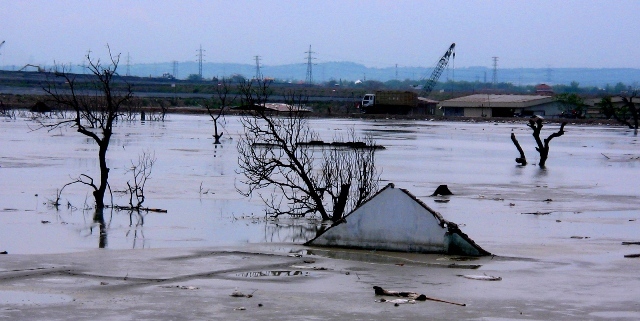 Hot Mud Flood In Sidoarjo or Lapindo Mud, it is a sprinkling of events of hot mud in the drilling of PT Lapindo Brantas in Renokenongo Village, Porong district, Sidoarjo regency, East Java, from the date of May 27, 2006. 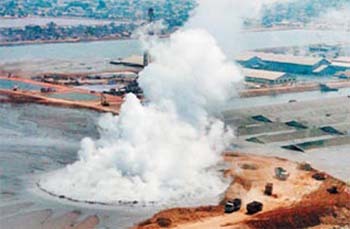 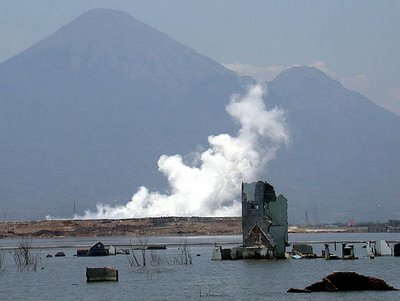 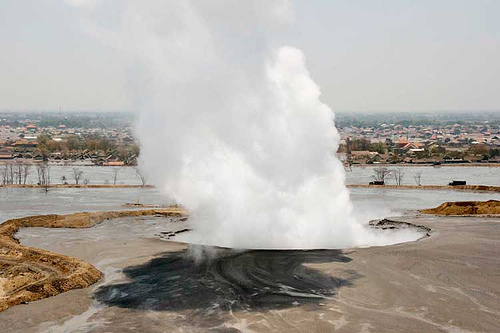 Blast of hot mud for several months caused drownwd settlement areas, agriculture, and industry in three districts in the vicinity, and also affect economic activities in East Java. 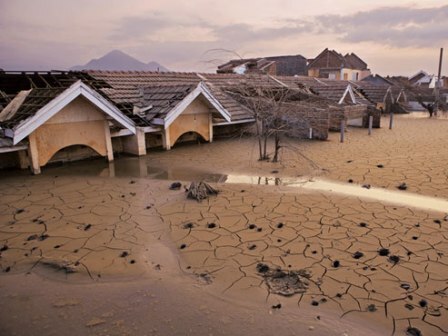 Until now, the mud was still not able to stop. 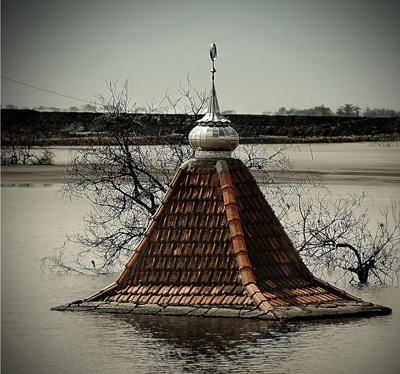 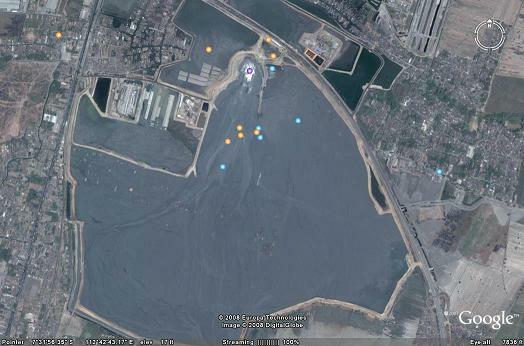 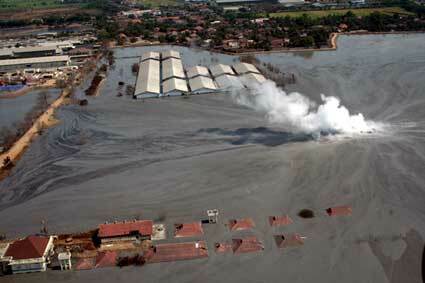 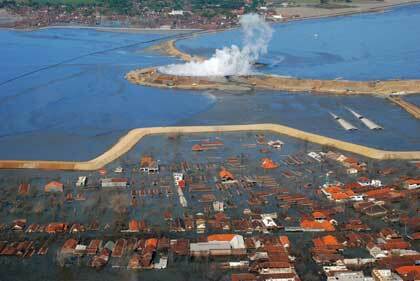 As a result of this incident, there are three districts in the regency of Sidoarjo drowned.